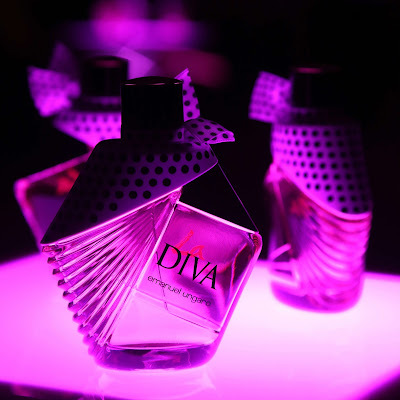 PARIS - On the occasion of the 50th anniversary of the iconic brand Emanuel Ungaro, the Maison hosted a stellar group of celebrities and press from the fashion world to celebrate the launch of the new perfume “La Diva” at the famous Petit Palais in Paris. Fausto Puglisi, the Creative Director of the House, along with its President, Asim Abdullah, welcomed 600 guests to discover a virtual history of the brand in images, from haute couture to prêt-à-porter, choreographed and created by Ali Mahdavi to an original score created by Monarchy. To introduce the new elegant and voluptuous fragrance “La Diva” was Michele Norsa, CEO of the Salvatore Ferragamo Group, through a spectacular 3D projection on the facade of the Petit Palais with the protagonist Charlotte Free as the new face of the perfume licensed to Ferragamo Parfums. Strong moments during the evening were the showcase of the French group LEJ and the DJ set of Marie-Amélie Seigner who fired the dancefloor until late in the night. Among the guests: Elodie Fregé, Frédérique Bel, Leila Ndabirabe, Zahia Déhar, Estelle Lefébure, Catherine Baba, Laurie Cholewa, Karole Rocher, Blanca Li, Jin Weng, Bojana Panic, Alexia Niedzielski, Elizabeth von Guthman, Suzy Menkès, Axelle Lafont, Prince Wenslenslaus du Lichtenstein, César Domboy, Richard Orlanski, Frédéric Taddei, Ariel Wizman, Nicolas et Alexandre Lestrat, Kyle Eastwood, Kamel Oubli.